Are you wondering how much time in the Philippines to spend? The Philippines is a must visit country in Southeast Asia. 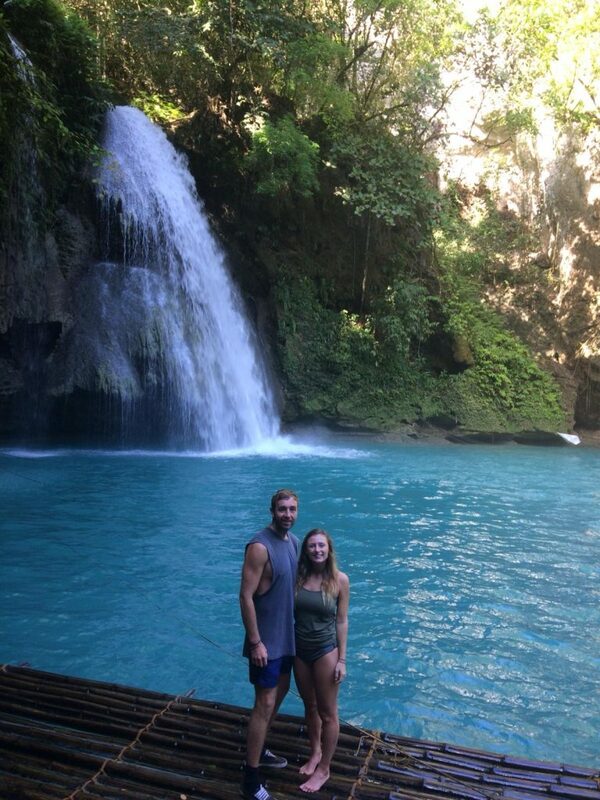 We completed our Philippines 3 week itinerary here and loved every minute of this epic country. 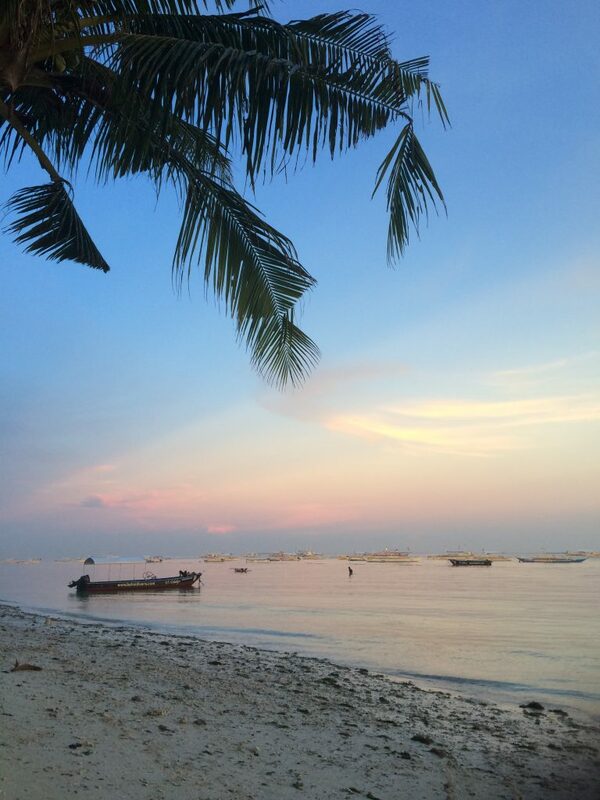 Unsure whether to visit here whilst in Asia? Don’t worry, we was too. 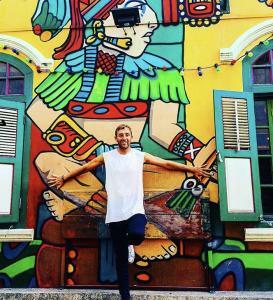 But we are glad we made the decision to visit this top country in Southeast Asia. The famous Palawan Philippines location is amazing. Where as the Manilla Philippines is not a place you want to visit. 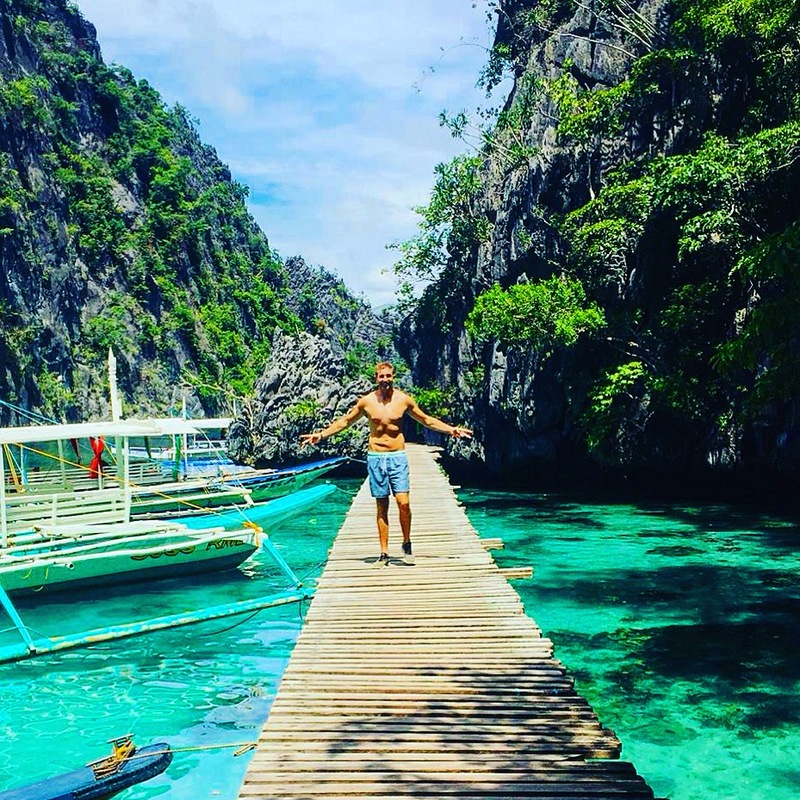 But in this post I will give you the best Philippines itinerary for your visit. This is the ultimate Philippines backing tour. The Boracay in the Philippines is one of the most popular places to visit during your time in the Philippines. 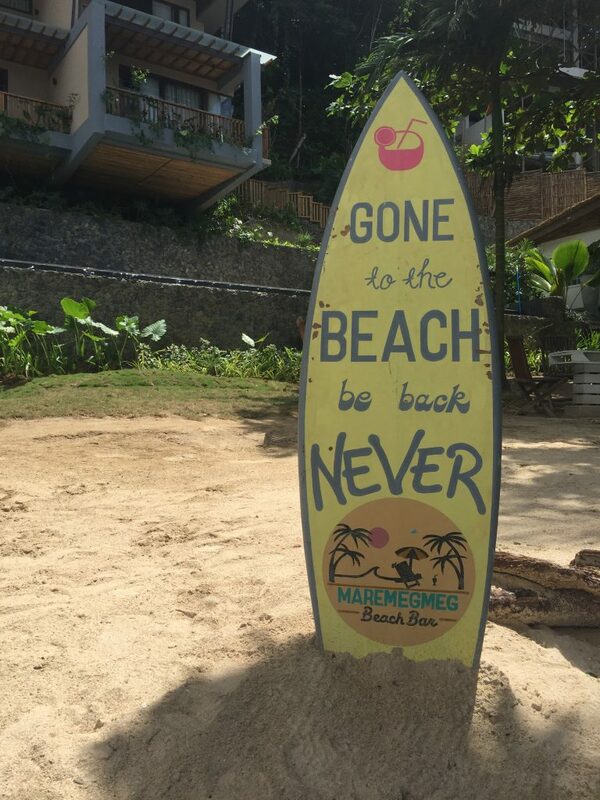 It was closed for most of 2018, but don’t worry Boracay beach is back open now.Backpackers and general holiday-makers flock from all over the world to see this amazing paradise country. The Philippines was a place we could not wait to check out. We had heard stories about some of the top places to visit such as El Nido, Coron, Bolhol and other epic small islands. We obviously did some research on how long to stay in the Philippines and the best travel route for the Philippines. 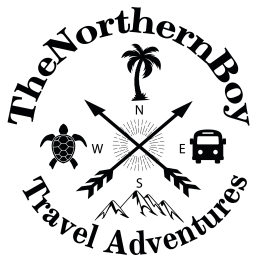 Some travel bloggers say 2 or week 3 week in the Philippines and then other numbers. This all depends on how much you time you have and what you want to see. And it also depends on your budget! Travelling between the islands in the Philippines can become expensive as you will most likely have to take a plane flight. When To Visit the Philippines? So, you want to do a 3 week tour of the Philippines, but when is the best time to visit? The high season in the Philippines is the dry season from November to April where the countries top things to see are all accessible for tourists. 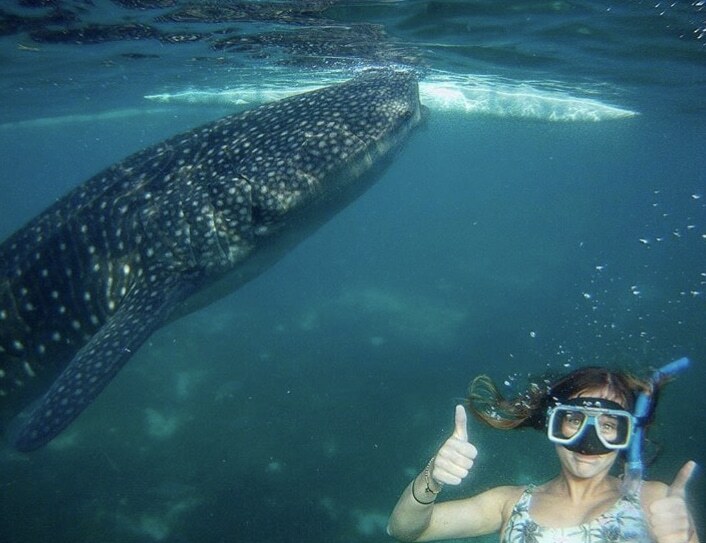 If you want to see the whale sharks. The number of the whale sharks peak around March to April. 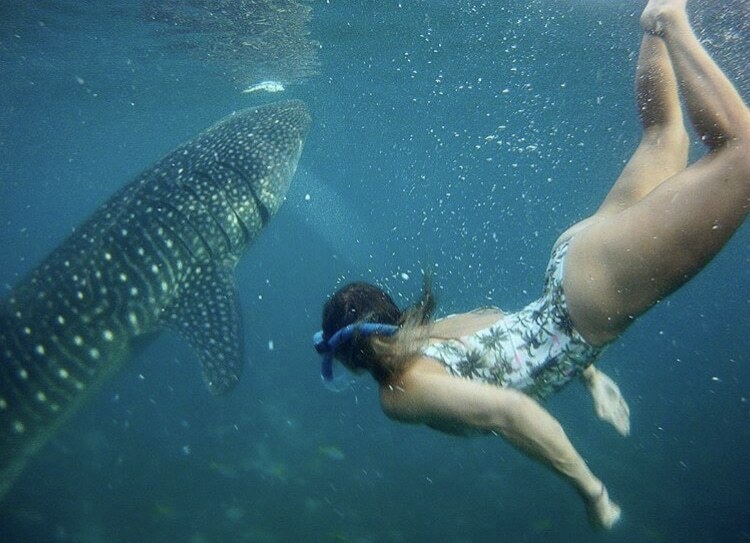 This is the sweetest time to go swimming with the epic whale sharks in the Philippines. Expect the temperature to be hot! The coolest time to visit the Philippines is December to January. How to get around the Philippines? This is one question everyone asks before arriving to the Philippines. Don’t worry we was wondering the same thing before we got our flight to the Philippines. As you can see from the map of the Philippines, the country is broke up into loads of islands. Therefore, this makes it quite tricky getting around. You will have to use planes, boats, buses and tuk tuks to get around the Philippines. Yes it really is a mix of transport. You can’t avoid the planes either. Some of the islands are only accessible by plane. The typical route in the Philippines, is fly to Manilla and then fly to Cebu for example. Here is the list of the best places to visit in the Philippines on your adventure. This was our first stop on the 3 week Philippines itinerary. After landing in Cebu, Philippines we headed to the North bus terminal to catch a bus to Ha Port, coating 200P. The buses aren’t very reliable and i don’t think they have a timetable, they just leave when the bus is almost full. The driver told us the bus would take 3 hours, however this turned into around 4 with a few rest stops to use the toilet and grab some snacks. Once at the port we had to buy a ferry ticket costing 185P and a 10P terminal fee. The ferry leaves every 2 hours with the last being at 17:30. It takes around one hour and there’s toilets and snacks on board to purchase. At the other end you’ll be greeted by locals offering you a tricycle into the centre, we organised prior to arrival transport with the hotel, but to walk is only around 15 minutes to the centre hub of the island. After travelling around the whole of South East Asia we’ve seen some pretty awesome beaches and i was expecting Philippines to offer the same. However, i was pretty disappointed, yes the water is crystal clear but the beaches are dirty and the sand is uncomfortable to lie on. After doing some research i found a ‘must visit place’ paradise beach. As the name suggest i thought this beach would be paradise especially with a 50P entrance fee, but we didn’t think it was anything special. The only good thing was that we had the beach all to ourselves. There’s lots of places to eat and drink in Sante Fe, that won’t break the bank. For example we had fresh and tasty chicken, rice and veg with a drink for only 159P, bargain! As backpackers we don’t tend to drink alcohol to try and save money but beer in Sante Fe was only 55P, i don’t think we’ve ever seen it so cheap. To my surprise Philippines accommodation seems pretty steep compared to the rest of South East Asia and we don’t know why! For an average air conditioned room your talking 1000P and that doesn’t even include breakfast. I just think you don’t get good value for money over here in regards to accommodation. There’s plenty of options around town that you can either book on booking.com or walk in and try to barter down. This is pretty quiet and has a chilled vibe so relaxing on the beaches is a great way to spend the day, but if your like us we love a good adventure. 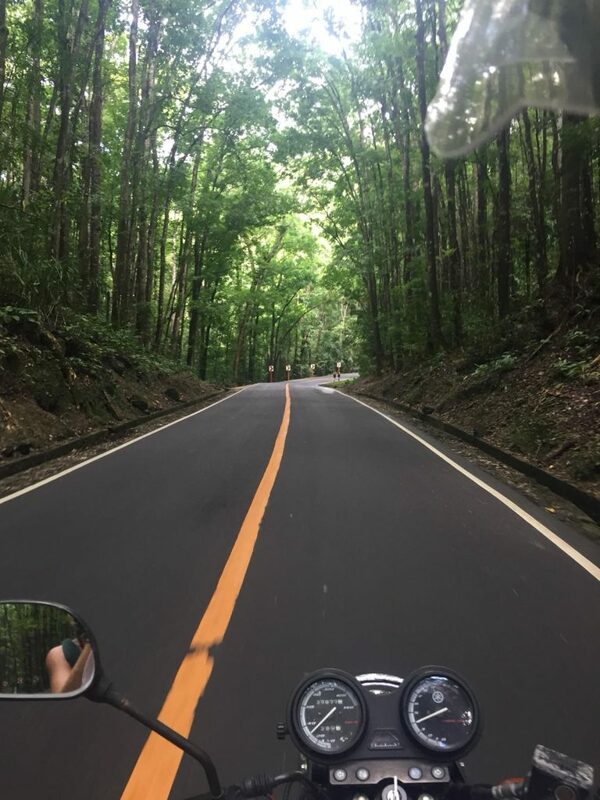 After renting a motorbike for 300P we headed out to explore the hidden gems of the island, but other than the octo cave and paradise beach there aren’t many other attractions. Still it was good to drive round and see the local people going about their day to day life. Overall i wouldn’t visit Bantayan island again, it’s tricky to get too and there’s not much going on, but if your looking to just relax by the beach with a good book it might work for you. From Bantayan island it’s a 4 hour bus journey back to the north bus station in Cebu city, a taxi to the south bus station then another bus to Moalboal. A mammoth journey but worth it! 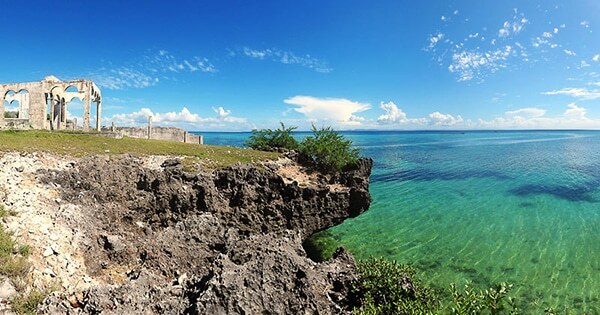 If you are just creating your itinerary for the Philippines now, make sure to include this epic place. 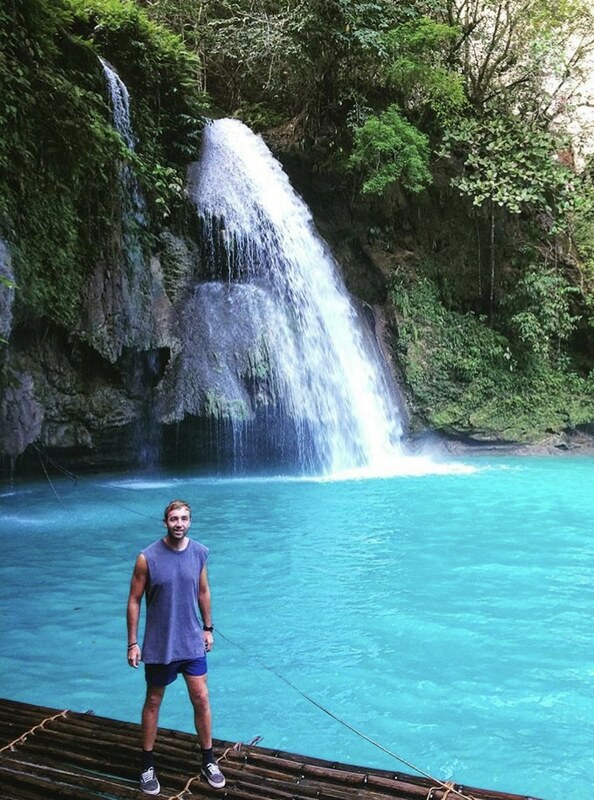 We absolutely loved this place to visit in The Philippines, you will also meet some really cool people. Moalboal it’s self isn’t a sandy beach but is great for the sardine run and spotting turtles. We were told to snorkel at Moalboal between 8am-10am or 3pm-5pm to see the turtles. However, if you’re wanting to relax, head to paradise beach which is around 5km from Moalboal town to enjoy white sand and crystal clear water. Go early and you might just have the whole beach to yourself. Bear in mind, there are two ticket offices both asking for 20 peso’s, I’m not sure why! We stayed in a guesthouse called Roo’s which cost £17.50 a night with a delicious breakfast included. The rooms were clean, the staff friendly and only a 5 minute walk to the beach front, we couldn’t complain. The only down side was the barking dogs, but you seem to get that everywhere in the Philippines! Moalboal is only a tiny town but you still have a few good options to eat out, costing between 150-300P. We enjoyed watching the sunset on the beach front restaurant, it’s beautiful and there’s always a great vibe. We spent 3 nights in Moalboal and i’d say that’s just enough time to tick everything off the list. We spent a day lounging at the beach, a day cannoning and a day chasing waterfalls all the way down the coast line. I would highly recommend cannoning, it set us back 1000P including a tasty philippino lunch of chicken adobo, yum. It’s a great adrenaline packed day. See this post for further information. From Moalboal is takes around 3 hours to reach Oslob (the whale diving capital of The Philippines). Take a tricycle to Moalboal bus station (150p), then a bus to Baiden (70p), then a bus to Oslob (30p), it’s an easy journey and the bus conductors are happy to help you. Oslob unfortunately doesn’t have any beaches but that’s not what you’re going for! We stayed at a hotel called Sasha’s resort, it cost 700p a night. The resort had an on site restaurant and a pool and was right beside the sea, a perfect view for eating your breaky. Most accommodations have onsite restaurants but if you venture out into the town there’s a few cheap cafes and loads of BBQ street food. You’ll also be glad to know there’s a 7 eleven to stock up on goodies! Most people stop over for the the Oslob whale sharks, therefore only spend a night or two in Oslob. Whale sharking diving has been one of the highlights of our trip, i would highly recommend it and for only 1000p, it’s a bargain. This experience was probably the most amazing thing I did on the 3 week Philippines itinerary as it was out of this world. They also rent under-water camera’s for 550p so you can capture those insta shots. 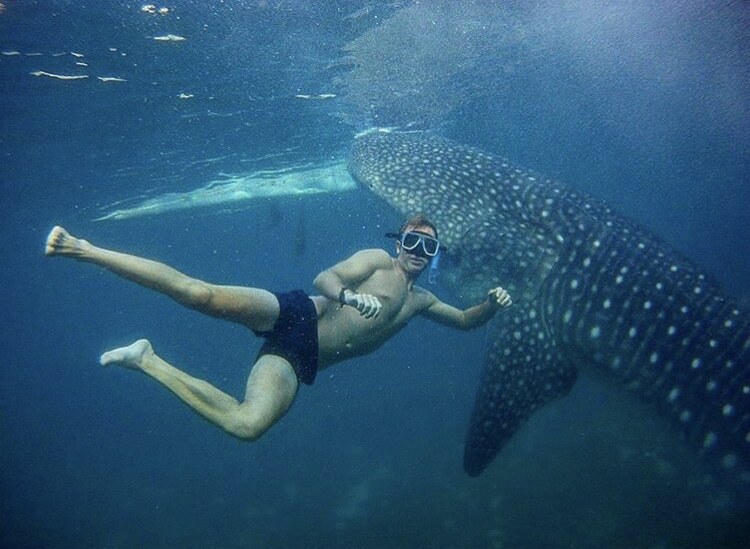 There’s a moral/ethical grey area regarding whether whale shark diving is right, but we had the mentality that they aren’t in captivity, they are free to roam the ocean if they want too. Wouldn’t you stick around if there was free food! And the association have but practices into place to minimise disruption to the whale sharks. Whilst in Oslob we also visited tumalogen falls, which is 8km from the town centre. It cost us 300p for a round trip on a tricycle and the guy even came into the falls with us to take pictures. Tumalogen waterfalls has a 20p entrance fee. From Oslob there’s a direct boat to Panglao Island costing 1000p and takes around 1.5 hours. This is a new service so there’s still some teething problems, for example the boat was meant to set off at 10:30 but didn’t depart until 12 and we were told the boat arrives at Alona beach but we actually arrived at Mojo beach! Alona beach is the prime tourist area, however the beach was a disappointment, the area is dirty and the water isn’t clear. Cross this one off your itinerary for the Philippines as it is not the nicest to be honest. with hundreds of boats occupying the area. It’s good for eating as there’s lots of different restaurants to choose from, but it definitely didn’t have that paradise palm tree feel. The main hub is on Alona beach so you can find plenty of restaurants there, but we headed to the Island Mall where there are loads of restaurants to choose from at cheap cheap prices. Our favourite was Hola, a Mexican takeout, the burritos are super delicious and for 180pesos you can’t complain! There’s even a Dunkin Donuts to fill those sweet cravings. After scrolling through booking.com every hotel on Alona beach seemed to be out of our price range on your Philippines itinerary, so we opted to stay in another area. Panglao Green Hills sounded perfect, 700p a night for a private air-conditioned room with a pool. The resort was nearing towards the end of a renovation resulting in the price being so affordable but it will be amazing when it’s completed. Next stop is El nido on the 3 week Philippines itinerary. We was looking forward to this part of our Philippines itinerary as it is one of the most popular places in the Philippines to visit. From Bohol we took the OceanJet ferry across to Cebu. They pretty much leave every hour and cost 500p one way. They also ask for a 20p terminal fee and 100p baggage check in fee. The journey takes around 2 hours but they play films and there’s aircon so don’t worry! Once we arrived at the port we got a grab taxi to the airport ready to catch our flight to Peurto Princessa. There is an airport on Bolhol but the flight prices were triple and there’s no direct flight to Palawan so we thought the better and cheaper option would be to fly from Cebu. Every penny counts when your travelling! Once we arrived at Peuto Princessa we hopped on minibus to el nido town. I’ve heard horror stories about this journey, yes after a long day of travelling it was tiring but there’s rest stops every 2 hours to grab some food and empty your bladder! Don’t worry about booking the bus in advance there’s plenty waiting outside the terminal and you should pay around 500p for the 6 hour journey. Once you arrive at el nido bus terminal there will be plenty of local’s asking if you want a lift, luckily our accommodation was right next door, winner. The beachfront of el nido town is nothing to shout about, it’s full of parked boats, but there’s plenty plenty of restaurants and bars to grab a bite and beer. The beaches here won’t be the best on your Philippines itinerary. Nacpan beach is said to be one of the best beaches on Asia around 22km from El nido town. It’s reachable by scooter but be careful as the roads of muddy and bumpy. There’s normally an tourist entrance fee of 50P but for some reason it was free. Unfortunately the weather was against us and we didn’t enjoy what the beach had to offer and instead took shelter at Monkey restaurant for some grub. The beach stretches on for (km) so you won’t have to share space with others. from El Nido town, we walked it in 45 minutes but there’s plenty of tricycles available to take you there. I was pleasantly surprised with this beach, there’s plenty of room, soft sand and the sea is great for cooling off. There’s also plenty of beach bar restaurants on Las Cabanas beach with deck chairs and beds to top up those tans. Las Cabanas beach is also home to the famous zip wire, we didn’t try it but heard it’s not for the faint hearted! I think the price is around 400peso’s, so if your up for an adrenaline adventure it might be perfect for you. 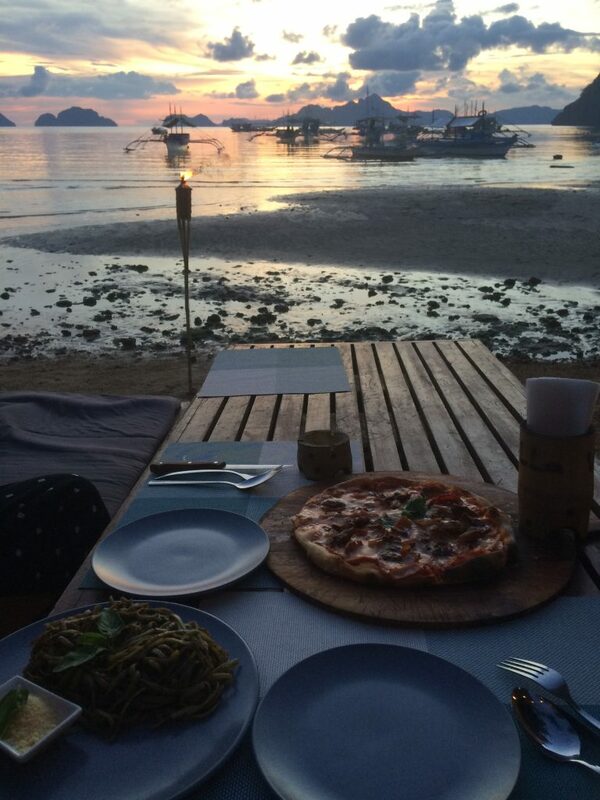 Considering El Nido in the Philippines is a tiny town there’s plenty of places to eat and drink. Most meals will set you back 250-300p in a restaurant, or there’s street food selling burgers/hotdogs for 50-100p. One rainy afternoon we ate at ArtCafe and organic cafe serving delicious food. The prices are higher but for a treat, it’s worth it and they do yummy home made cakes. We stayed in a hotel in El Nido that was acutally just outside of El Nido town on the highway called Raje Residence at £17 a night with breakfast. This is a little out of our normal price range but was the only place we could find with decent rating! The breakfast certainly filled us up before a busy day of island hopping and the rooms were large and clean. The only down side was the construction going on around the hotel but you’ll find that everywhere in El Nido town, it’s growing day by day! 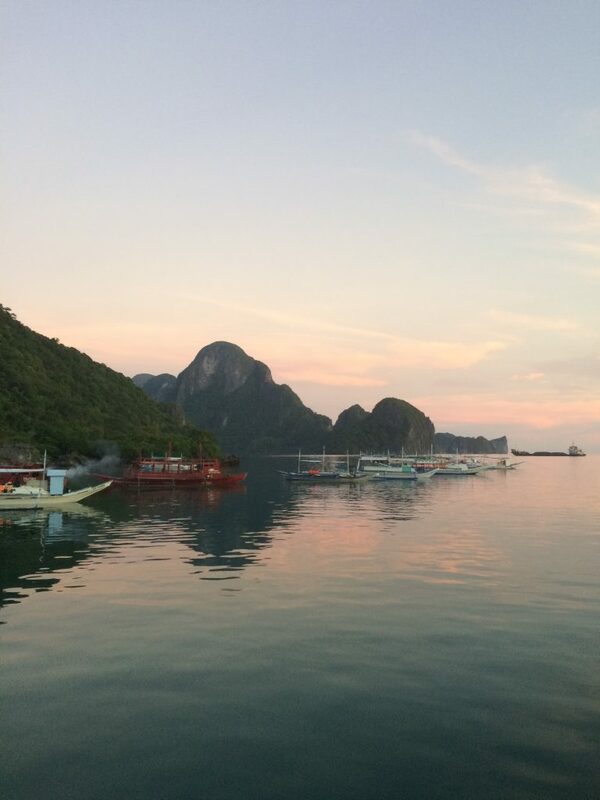 The number one thing to do is the El Nido island hopping tour. There are 4 main tours to choose from A,B,C and D. We only took part in A as this was recommend by pretty much everyone we spoke to, so i can’t speak for the others but we enjoyed it. The scenery is very similar to Thailand’s Phanga Bay so we weren’t blown away but there’s still incredible views. See this post for more information on..
There’s only on ferry from El Nido to Coron that departs at 6am daily and takes around 4 1/2 hours. The ticket price is set at 1760pesos, plus a 20pesos terminal fee, you won’t find it cheaper. Coron was one of my favourite places to visit on the 3 week Philippines itinerary. There isn’t really any beaches on the mainland island, expect Marcialla beach towards the East. I’ve heard the ride there is pretty dangerous and takes around 2 hours so we decided to opt out, but it may be worth a visit for you adventurous travellers. I thought El Nido was meant to be more touristy than Coron so was surprised to see a array of restaurants and shops. I also thought the price of food was much cheaper than El Nido too, e.g grilled chicken and rice will set up back around 120pesos. As it was my birthday whilst in Coron we splashed out on Charms Hotel, a brand new establishment with a pool and free breakfast. As it was a new hotel there wasn’t any reviews on booking.com but my expectations were exceeded, the staff go above and beyond to meet your needs, the place is spotless and the pool is to die for. It was the perfect place to relax after a busy day of sightseeing. This was the best place we stayed on the Philippines itinerary. Like El Nido, Coron is most known for its boat tours. We took part in Coron’s Super Highlights tour and the Best Beaches of Coron tour which i highly recommend. 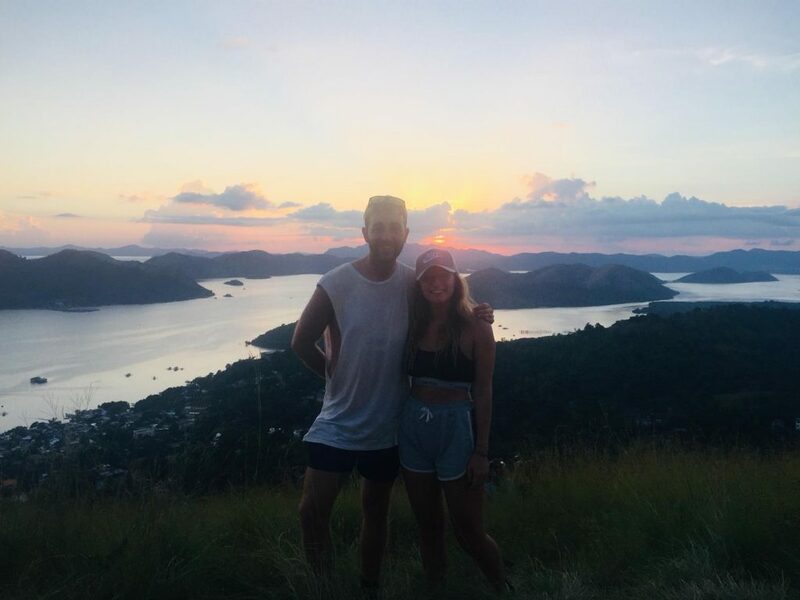 As well as the boat tours, it’s obligatory to go to Mount Tapyas to see the sunset, theres 700 steps to the top but the views are definelty worth the climb. The Maqunit Hot Springs are another fun attraction to visit whilst staying in Coron. Maqunit Hot Springs are around 5km from Coron town so you can either hire a tricycle or rent a scooter to get there and entry cost 200 Pesos per person. Finally, Maqunit Hot Springs are salt water and sit on top of a volcano which is why the water can reach up to 41 degrees, hot hot hot! See this post for further information on the best things to do in Coron. Boracay is a small island in the central Philippines. It has sweet resorts and beaches. Along the west coast, White Beach is backed by palm trees, bars and restaurants. Boracay was actually closed from tourists spoiling it with rubbish. However, Boracay is now back up in 2019. On the east coast, strong winds make Bulabog Beach a hub for water sports. Nearby, the observation deck on Mount Luho offers panoramic views over the island. 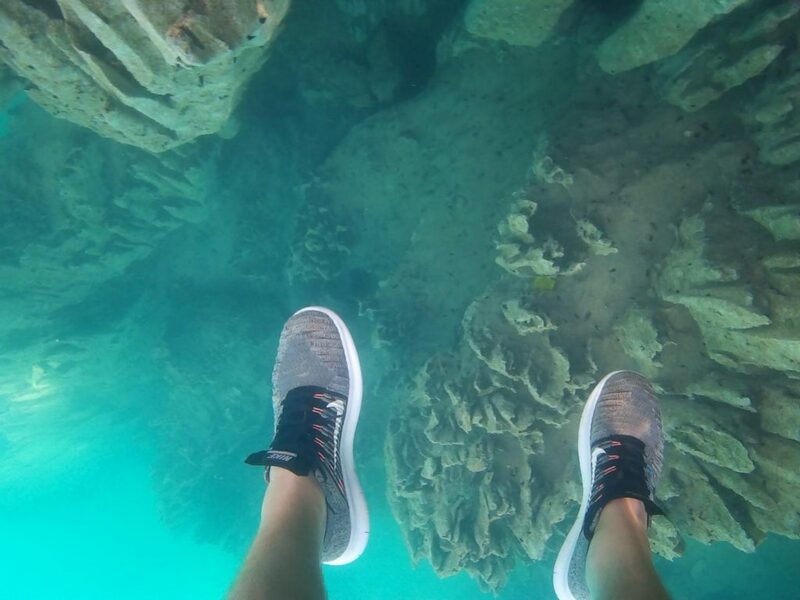 You can do some sweet snorkelling and diving in Boracay. In 2019 this should be a sweet places to visit in the Philippines. Food in the Philippines – Food is cheap in the Philippines and you get a meal for ($2) the food is actually really good generally. It’s more the accommodation which is expensive, this bring me to my next point. 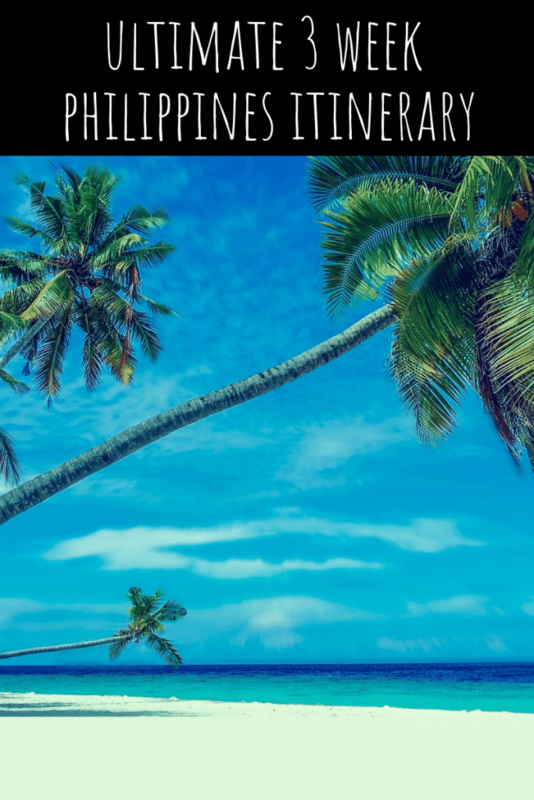 Philippines locals – The Filipinos are really friendly and will go out of the way to have a chat and discover about your background and home country. 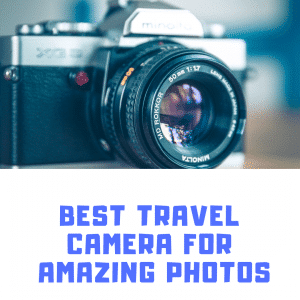 Which is great because I love the conversation 🙂 This is really useful for finding out epic Philippines travel tips. Scooter rental in the Philippines – If you are looking for the best way to get around the Philippines for your Philippines itinerary. Then look no further. Scooter rental in Philippines is really cheap. I’d say we rented a scooter every single day whilst travelling in the Philippines. Still want some more travel tips Philippines? Then keep reading. 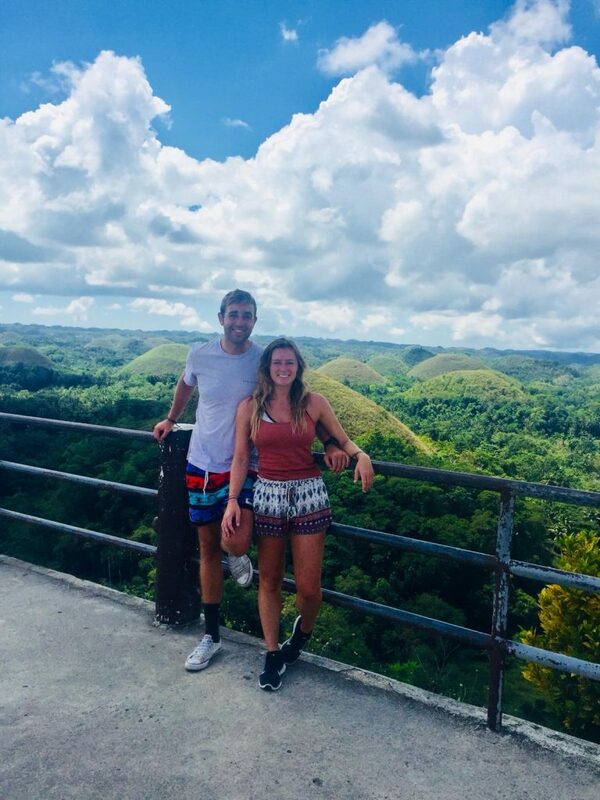 The day tours is high on the travel tips for the Philippines list – The islands in The Philippines are some of the best I’ve seen in Asia and you can experience them for cheap day tours. Philippines is one of the best countries in Southeast Asia to visit. In this post you have everything you need for your Philippines backpacking tour. 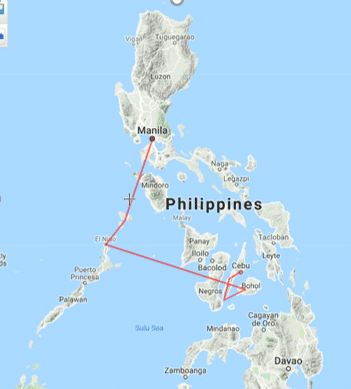 But here is is a little summary of the best route to take in the Philippines for your itinerary. Overall the Philippines exceeded my expectations and i would definitely return to explore Luzon and the surrounding areas. During our time in the Philippines we aimed to spend £30 each a day which is around 2100 pesos for accommodation, food, transport and activities. Feel free to ask any questions about our trip, id be happy to answer and share my experiences.